The Nebraska football team has apparently decided that offering scholarships in other sports at the school is quite the recruiting technique. Just days after the Huskers tried to up their ante with four star receiver Joshua Moore, they’ve done it again with another four-star athlete. This time the school has offered the ability to run track to Tommy Bush a wide receiver and defensive back out of the State Of Texas who so far hasn’t given a real long look to the Cornhuskers. Is track the new secret weapon for the Nebraska football team? The Huskers made an offer to Moore, offering him the track scholarship because he had previously tweeted out that he was quite thankful that he received an offer from LSU to do the same. For that particular player, it appeared there was a need to offer him a little something extra. Moore had been a heavy lean towards the Cornhuskers but it appears the coaching staff had been a bit worried he might start looking harder at LSU if they didn’t counter. It’s not clear the situation was the same when it came to Tommy Bush. Bush has been favored to go to either Baylor or Oklahoma by 247Sports. Perhaps Mike Riley and company believed they could make a kind of preemptive strike like LSU did with their prospect. Bush has shown he’s thankful for getting the offer but it’s not clear if the track scholarship has moved to dial towards the Big Ten program. Even with upping the ante, the Cornhuskers are going to have their work cut out for them. Bush, a four-star player considered the 29th best receiver in the country and 19th best player in the entire state of Texas has offers from all the big home state schools. He’s also been offered from Alabama, Auburn, Georgia and Penn State. While Bush appeared to be plenty happy about the chance to run track for a program that is as tradition steeped as the Huskers, it’s not clear whether or not he’s really even thinking about playing for the Big Red. At the moment, Baylor has been looking like the absolute lock to land the services of the young player. 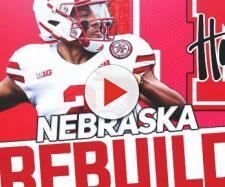 If upping the ante the way Riley and Keith Williams have done with these two top of the line recruits actually works, you can expect these kinds of tactics to be a bigger part of the game plan for the Nebraska Football Team in the long run. For now we’ll have to just wait and see how much it moved the dial when it comes to drawing the interest of Tommy Bush.